"New, unconfirmed Google ranking update ‘Fred’ shakes the SEO world!" I love this headline from searchengineland; we get this news a couple of time a year and it never fails to make me laugh! It looks as if Google could have released yes another algorithm change that take a long hard look at the quality of a websites links before deciding whether that sites ranking needs to be improved or demoted. But again it, this new ‘Fred’ update seems to have caught the SEO industry off-guard as is sending waves of panic across the community, but why this always makes me laugh is that if these SEO practitioners did their job right in the first place and looked to place good quality content on webpages with good quality (not spammy) links linking to the content then there wouldn’t be a problem. The worry look on the faces of SEO professionals out there is a clear sign that they know that they have done something bad (black hat SEO) in the past and they are scared that their past is going to come along and bite them in their @rse. I for one (as well as others like me), sit back and actually watch our ranking improving; I was struggling with one competitive term that seemed stuck as #8 suddenly yesterday leapt to #2, and I’m seeing positive moves across a range of sites and keywords. I’m sitting pretty, I just wish all of my colleagues would learn and start doing their jobs properly! I have recently been involved with a discussion about ranking on Google on LinkedIn, it has become more difficult to rank highly now, but why, these are my notes on it. Any web marketer or somebody who owns a website realises (or should realise) the importance of high search engine rankings. Any webmaster who is serious about succeeding online should know that you need to be on the first page of Google results, but more importantly you need to be at positions 1, 2 or 3. There was a time when achieving high search engine ranks was not really very difficult, all you had to do was create content, didn’t particularly need to be useful or of high quality, dump some keywords in it loads of times and *BANG* you were done and could with little effort rank highly. Google changed a few its indicators around 2005, so with the same content you just had to throw some links in (predominately from link farms, article networks, blog networks and directories) and you ranked well. From about 2007, things really started to get really difficult, and as every year marches forward Google just keep making the SEO role more and more difficult. Today, there is a huge amount of competition out there in all markets. Achieving a page one rank in Google (and the rest of the search engines) has become extremely tough, unless of course you are working smart. Working smart will often mean here the ability to choose the right set of tools – tools that can rocket your web visibility by taking your website from the lower ends of search engine results all the way to very top. See a previous post - Internet Business Promoter (IBP) Axandra Software Review. A page one rank is all you need to rocket your web traffic that will blow your mind, however, traffic is just one side of the coin and if you want to convert traffic then you need to look at Conversion Rate Optimisation (CRO), but that’s a completely different subject. Anyway, the real reason why it’s more difficult to rank on Google is that they want to present the very best results to us searchers, and their tweaks and modifications to their algorithm is all just designed to ensure that the sites that are well liked, with the best content rise to the top – it’s that simple really. I’ll say right from the start that the way that most SEO software products try to rank your webpages doesn’t work; sure they can help you decide which keywords to use and where they should go in your webpage, but other than that they really can’t push you to the top of Google. I’ve been working in digital marketing for more years than I care to remember and to be honest with you; Internet Business Promoter, or IBP as it is popularly referred to, is the best thing for ranking since sliced bread! Obviously it’s a good idea to analyse your pages to ensure that they are perfectly optimised for the given keyword(s), but unfortunately Google simply doesn’t work like that. Google doesn’t care about your optimisation in silo, they want to know how good your site is against your competitions sites, it quickly works out which sites are worthy of being on the first page of their results; so it would make perfect sense to optimise against these top 10 results – and that’s exactly what IBP does. Once you enter you primary keyword, IBP does a search (either on Google or your preferred search engine) for that term then analyses the top 10 sites to see where they have put their keywords, how many times, are they in bold, the title, description etc., and then it presents you with the results in an easy to follow report that is your roadmap for updating your page to be as good as these on the first page. This on-page SEO analysis isn’t the end of it for IBP; it also looks at the inbound links so you know if there is room for improvement there too. One of the great things about IBP is that it will never offer any advice that will be a short-cut to SEO success. It may take some time (as any SEO does), but if you follow its advice your website is more likely to succeed. But remember, just like life, there is no guarantee that it will actually work. Track the position of your website as it improves its search engine ranks. But all in all, if you are serious about ranking well on Google then you need to invest in this software. Download it for a FREE trial now. The first time I managed a WordPress site it came with Yoast already ready for me to continue the SEO, and for a long time I really didn’t know any different; but I became concerned that my SEO work wasn’t having the effect that I needed, so I started my search for a new WordPress SEO plugin. After a fair bit of searching and testing I landed on SEOPressor, and loved it, but if you want a little more detail then hopefully this short review will help. Start taking a closer look at SEOPressor today, click here for more information. So which SEO plugin is best for your WordPress website? If you’re just starting out or you’re simply looking to make the most out of your website content with videos, articles, categories, tags etc. then Yoast SEO should be good enough for you. On the other hand, if you are serious about marketing your website and squeezing that little bit extra out of your SEO, then I would highly recommend using SEOPressor Connect. For the basic stuff they can both pretty much do the same thing, but never versions of SEOPressor now comes with some really great features that really does push your rankings higher. WordPress site (to improve rankings), just enter your details below. OK, it’s the free Yoast SEO plugin that only lets you choose a single keyword/phrase for SEO purposes, but to get multiple keyword focus on Yoast costs a minimum of $69. Whilst you do pay for SEOPressor, the standard version lets you focus on three keywords. Making it easier if you don’t know (or not sure) which term to rank for immediately. The best part of the latest version of SEOPressor is real-time LSI recommendations; it will actually recommend Latent Semantic Indexing keywords to use, this is important as Google uses LSI to better understand what your webpages and website is all about. Once you enter your primary search term(s) into SEOPressor the LSI keyword recommendations start suggesting other useful keywords and terms you should be using in your content to get Googles full attention and to ensure that you really dominate the rankings for your chosen term(s). This is not available on any other WordPress SEO plugin and is a priceless addition to WordPress. If you’re heavily into your keyword density (which I’m not) then this is a really useful feature as you see your keyword density on the fly, it can be really useful if you want to get the keyword density down you can see it going down as you add more content in real-time rather than having to ‘run’ a request. If you are working on a page that is overly optimised (which could seriously damage ranking), you’ll get a real-time alert letting you know that something has gone wrong and you need to look more closely at your optimisation. Usually when you share content, the social platform you are using will automatically pick and display the Description of the page, whilst this can sometimes be all you need, but social channels are more personal that webpages and Google search, so it makes sense to alter key landing pages to add a little more personality into your description. This is particularly true if you sell to Businesses and Consumers – typically Businesses might only see you on Twitter and LinkedIn (SEOPressor doesn’t actually support LinkedIn yet), but you could in theory have a more professional description on Twitter to that on Facebook to help talk to your different target audiences. SEOPressor allows you to effortlessly fix, build, and manage the perfect internal link structure to increase your reader’s retention and reduce bounce rate. SEO Score: SEOPressor let's you set a lower limit for SEO score, if the content you have created doesn't pass the limit it won't let you publish it. SEO Checklist: SEOPressor uses a checklist approach so that it becomes easy to create great content time after time, useful if you have a team of content developers and you want the same quality from the team. SEOPressor just seems to have been built with Google rankings in mind, and take it for someone that has been in the digital marketing space for more years that I care to remember, this works the closest to how Google actually thinks and ranks, making it a clear winner in my books. This is a quick video I put together that explains some of the key differences. Launched in early 2015, RankBrain is Google’s machine learning technology, it uses artificial intelligence to help Google understand exactly what you want to find with your search and delivers you highly relevant search results. So how do you rank for RankBrain? Actually the answer is rather simple and something that I’ve been advocating for years now, we know that RankBrain is effective for the 15-20% of the queries that Google has never seen before; this clearly indicates that these are natural language queries, typically long typed out queries or more likely voice queries asked on smart devices (smartphones, tablets etc.). So optimising for these is easy, just write in natural language, write for humans, write for your target audience. If in doubt read your content out load to see if it makes sense (again, something I’ve been advocating for years), if it doesn’t make sense then your content isn’t correctly optimised and it need rewriting. As a content writer, you tend to find that the highest quality content is written in a very natural way that is conversational. So that’s it, check your content, check that it reads well and you will improve your Google rankings. Links, the lifeblood of websites, without these your website will not not highly on search engines, if you can't be found on search engines then you'll not get the visitors your business desperately needs. Link building is fraught with difficulty, recent Google updates mean that if you get links from a poor website, then it will negatively effect your ranking. But how can you get these all important links? These articles offer practical advice to help you improve your search engine rankings. Stop asking ‘How’ Google rank websites and start asking ‘Why’. Seriously, if you are interested in improving your ranking for your website then you must stop trying to guess what ingredients are in the Google ‘secret sauce’. What makes up the Google algorithm takes up way too much thinking time, just accept the fact that Google pushes websites through their machinery and out pops the ranking for your site. From a users perspective Googles aim of is very simple; it wants to understand what information you want to see when you query its search engine and then it wants to ensure that it shows you the very best results. Why is understanding this a better way to understand Google? This all means that you can stop focussing your precious time on tying to get others to link their sites to you, spamming forums and blogs with your links and stop tweaking META Tags and focus on the important area … your content. 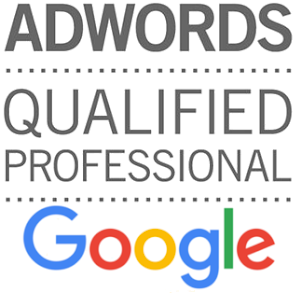 With the right content Google will understand your pages and be able to determine whether you can satisfy a search query well. So your content needs to be able to answer visitor’s questions, the content needs to be exactly what the visitor is expecting to see when they click on your link in the search results. This means that you need to ensure that you answer the questions you think that the market has for your products and services – this might actually mean developing a formal FAQ section, but it also means ensuing that they easily understand what your website and pages are all about, and how exactly you can help them. Seriously, understand what Google is trying to do and help them to help you, and you will start to rank well within Google. Period. In the UK the local elections are happening this week, so it gives us an opportunity to take a leaf out of our MPs' books and raise the profile of your business and website? Just like our politicians, you too can build a professional online brand and profile for your business with some very simple tips; and changing the way your website portrays and promotes you could do wondered for your sales too! Just like the political parties your business should employ a personal statement. Your personal statement and the way your present it on your web site is critical as this is one of the first ‘things’ that a visitor who doesn't know you very well will seek out (whether they are aware of it or not! ), and it has the added benefit of helping them understand more about your business. Your company's personal statement simply needs to be the top 2-3 things that you want your visitors to know about your business, they should show how you can help your prospects. For example, you might want your visitors to be aware of your huge selection of products, the fact that you are an award winner, your customer service stats, your low prices etc – whatever it is that you think your market will go wild over and that you can satisfy. Once you've decided on what your business personal statement should be you need to ensure that it is easily and quickly seen on your site. Are these 2-3 statements obvious on your site? Are they mentioned at all or hidden in your navigation? Put them to your homepage and make them easily viable throughout your site. You only need to take a quick look at any of the political parties web sites to see what views, experience and values their leader has. You can find out about their history, achievements, what they stand for and how they believe that they can personally help you. Does your site portray its top Directors in the same way? Is it easy to find out about them, what skills, experience and background they have, and what they think that they can do for your prospects? If you don’t talk about the top people in your business then you are missing a trick; research constantly shows that the “About Us” pages are usually one of the top pages that prospects visit on your site and these pages can help sell yourself and your business if done correctly. Say what you want about our political system, the parties and politicians, they do know how to promote themselves and how to get us following them and believing in them, and by following these simple tips you will be able to better promote your site and make you more appealing to your prospects. What type of site so you own or manage? Is it a Pretty Ordinary Trash Site (POTS) or a Pretty Amazing Natural Sites (PANS) site? Obviously you don’t want to own a POTS, these tend to be trashy, thin content, poorly linked to sites, where as the more superior PANS have lots of lovely content that visitors want to read and share, their content also attracts links naturally. A site needs to have a clear and definite purpose; if this can be portrayed successfully to visitors then half of the battle has been won. Sleek, modern design is a winner. Visitor needs and design trends change often, sites that don’t follow these will look dated very quickly and will be an instant turn-off. Content needs to be unique and fresh and needs to speak concisely to your target market – avoid waffle and clutter and keep the messages as simple and as concise as possible. Ultimately for any website to be successful it needs people to use it; site design and appearance are very important, but they will never replace the need for excellent usability. A websites navigation affects how usable it is, and when developing or redesigning an existing site then the navigation (how you visitors are doing to find the great content) should be your primary concern. Site Design Designed in the 80’s/90’s. Doesn't read well. User focused. Unsure what you site is about. Purpose clear. Visitors feel happy on your site. Usability Confusing leaving visitors impatient. They will leave. Simple to use. Customers stay and look around. Navigation Visitors can’t find what they need. No structure to site at all. Visitors can find what they need quickly. 1-3 clicks and they are there. In recent years the practice of arranging to create links to sites that link to yours has been frowned upon (especially by Google), but can this practice actually have a good and lasting effect on your website, traffic volume and rankings? The idea of exchanging links with other websites, typically on some kind of special ‘we recommend’, ‘our partners’, ‘friends of ours’ or something similar, used to be a primary method of building links to sites. One of the major ways that the Google ranking algorithm works is in making the suggestion that a link to your website from another one is a positive vote from them to you, Google used this vote to basically determine your reputation (in fact it still works this way today). The problem was that as this method of gaining links if very cheap and very easy to do, suddenly all sites had hundreds (if not thousands) of links pointing to them, and search engines like Google realised that these types of links weren't really an honest vote of recommendation for the websites but rather just a way for businesses to boost their rankings. Whilst website owners can still do this, this approach to link building is nowhere near as beneficial as it was in the past. As a result, less weight was ‘reputation’ weight was given to what were labelled ‘reciprocal links’ – a term which covers the scenario I have just referred to. As it became common knowledge that reciprocal links had been devalued, many businesses simply gave up on them. Some even went to the length of deleting all of the reciprocal links they had in case they incurred a penalty against their site. It’s actually a myth that reciprocal links result in a penalty. These types of links have just become devalued, which is very different to them attracting a penalty. Reciprocal links still provide value to the sites involved, however, the level of that value is less than it was before; but if you are struggling for links then some value is better than no value at all – so it would be a huge mistake to ignore reciprocal links altogether. You just shouldn't make this your only linking strategy, providing good quality content to attract natural and real links is always be best approach. Two sides to every coin! Whilst we are talking here about using reciprocal links to gain improved search engine rankings, there is also the other side of the equation and benefit to consider, that is, traffic referral. Each link you have on another site is a chance that one of their visitors make click the link and come to your site; the way reciprocal links are tend to be set up (on special ‘links’ pages) then you probably won’t get much referral traffic from them, but again, some traffic is better than none. Reciprocal links are not created equally! Some reciprocal links are always going to be better than others and you do need to be very careful about who you exchange links with. For example if you sell soft furnishings and you have a link from a website that sells car parts, I don’t imagine you get any visitors at all! Link partners should be in some way related to your own. In our example above, your soft furnishings site would be much better served if you had a link from a home improvement site! A few links from irrelevant sites isn't a big deal, but the more you have the more confusing your site’s back link profile becomes, which makes it more difficult for search engines to clearly establish the topic of your website and which keywords to rank it well for. Also, too many irrelevant links can look very spammy and would start to lead you to a penalty by the major search engines. Also consider the quality of the site you want a link from (Google will! ), ensure that their content is of excellent quality and unique to that site. If search engines see that you are linking to low quality sites, again this is a red flag to them and you may get a penalty (or just reduced ranking). So, if you’re unsure about the quality or trustworthiness of a website then play it safe and don’t link to it. Once you have a list of sites that look relevant and have great content, then it’s time to contact them, the best way is to use email or call them; explain that you have found their site, you love the quality of it and you think that a link between the two sites would be useful to both businesses. You’ll find that the success rate for link exchange isn't great, and it takes some time and effort, but it does work. The key is to do a bit of research on them first. You shouldn't just send out hundreds of emails using the same set template. That might seem like the easiest way but your emails will mostly get ignored. As already mentioned, done well and carefully this can be a good way to get links to your site that WILL help ranking and gain real visitors to your site. But this approach should be a low level tactic and not the main way to gain links, like I said earlier, great content will always attract natural links from other sites. What the future of SEO? When Google entered the search engine market back in the 90’s they changed the game. Before Google all you needed to do was stuff your web site full of keywords and as long as you had more keywords stuffed than anyone else you appeared at the top of the rankings for that particular ‘stuffed’ term. Since Google started spreading their magic on the search landscape things have changed, suddenly keyword stuff got you absolutely nowhere and links to site became the most important factor (as links suggested that the page was liked by someone). Then Google started to look more at the quality of the links that link to you – if a high quality, relevant and trusted site linked to you then Google rightly took more notice of this link and trusted it more than lower quality sites that linked to you. Things are changing again with Google Panda (rolled out in 2011) and further more with Hummingbird (rolled out in 2013) – now the quality AND meaning of your content is looking more important. So with these algorithm changes and other developments, what does the future hold? As SEO practitioners we are still providing good quality content that answers visitor’s questions whilst chasing those important linkbacks, but will all this activity be beneficial in the next few years! Backlines are still important and will continue to be until something else comes along which can help Google understand the reputation and trustworthiness of a site; but as links can be easily gained AND the value of link erodes over time then a new way of working out Reputation needs to be brought into play. Reputation networks like Klout, PeerIndex and PeerReach are examples of other networks trying to understand the reputation of a site, business or individual by trying to understand the context of any engagement; predominately in a social media context. But it’s this social context that holds the key for reputation in real-time; with the erosion of link value over time then Google admit that once a link to a piece of content is provided it almost immediately starts to become out of date (hence the erosion of value over time), so real-time analysis MUST be the way forward. The reality of the future of SEO and the question of reputation probably lies in a mixture of the types of work; i.e. the analysis that Klout, PeerIndex and PeerReach are working on and the latest Google Hummingbird platform changes. A merger of these two sides would mean that Google would have a idea (in real-time) of how a brand, business or individual is being talked about, and from this it could be determined whether that discussion or engagement looks to provide positive or negative reputable (lots of links/mentions from could mean that it’s a valued resource for example). Also with the Hummingbird update Google is showing that it’s starting to understand natural language and the semantics on how question and answers can be phrased. I imagine within the next ten years Google (or AN Other) will be able to determine the basic reputation of a site or author (by links and real-time reputation analysis) and understand the real meaning of the content on a site; with these two pieces of information a search engine provider will be able to provide search engine results that provide the very best answer to a question with a higher degree of certainty. But as we do not live in this world right now then links and great quality content are the way to go. 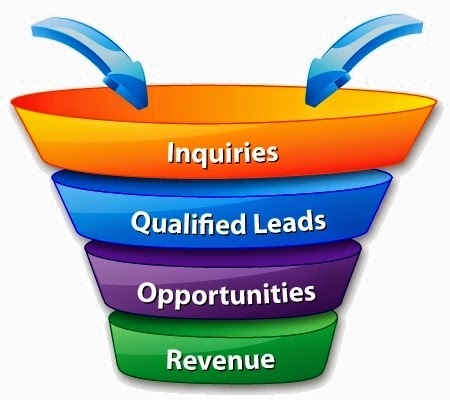 If you are responsible for sales or lead generation then you will no doubt be familiar with the classic sales funnel. Traffic or Leads are basically thrown in at the top of the funnel and due your magnificent sales and marketing nurturing you pass these leads through the different levels of your particular sales funnel all the time attempting to create a customer at the end of the process. It’s a classic image used in business today and it works well ….. up to a point! You see what this model doesn't adequately explain is that THIS process is a process that converts traffic or leads that have shown an active interest in your product or service. But there are many, many more individuals or businesses that are not yet interested in you, but you can still get them into this funnel, they might not buy yet, but they will be aware of you when they are ready to purchase and by changing the way you talk to your market will help you to become “front of mind” in their future purchase decisions. To change this mind-set within your market all you need to do is talk about something closely related to what you sell; so for example if you sell computers, then create guides to help people use them or understand common problems and how to resolve them. This would mean that you are then likely to attract people who (whilst not ready to purchase) use computers, and your great use of associated content means that there is now a chance that when they are ready to buy you will be “front of mind”. This is a fundamental shift on how businesses look at content and their content strategy, but this simple tweak to make content available that is closely related (and helpful) to your core business offering can bring in more prospects. A huge mistake made by marketers, business owners and bloggers every day is the practice of stuffing irrelevant keywords (keyword stuffing) into web pages and articles in an attempt to dominate Google search for particular search terms. You need to know that Google’ has grown very wise to this practice, and as soon as they consider that you have undertaken any form of keyword stuffing you will get a Google ranking penalty and in severe case be delisted from their index (i.e. no-one will be able to find you from a Google search). Avoid keyword stuffing at all costs, and only include the major keywords that will assist your pages in being indexed properly by ALL search engines. For an example of an overstuffed web page, take a look at this >> keyword stuffing. So what does Search Engine Optimisation (SEO) give you? SEO utilises modern search engines (such as Google, Yahoo!, and Bing etc) to increase the visibility of your website or individual web page which in turn ensures that your potential customers find your website rather than your competitors when they are searching for a solution you provide. Typically a SEO professional will handle and provide on website design, content marketing and website optimisation tactics - all designed to provide the search engine visibility that you need. Bottom line with search results is that the higher your site appears in the search results, the more people will come and see your site, the more visitors you get, the more customers you will get. Gives your business long-term visibility, never short term hope. Most webmasters and (hopefully) all internet marketers know the importance of properly understanding keywords for website ranking, but that nugget of knowledge seems to be forgotten when thinking about and posting on social media channels. But the keywords are king rule is as equally important in social media, and this is why. At the moment Google views everything online as if it was a website – in fact in essence that’s all your social channels are. Take your Twitter account for example – it’s just a page (albeit a long one) of content, same for your Google+, LinkedIn, YouTube and Pinterest accounts etc. So if Google does see your social streams as a web page element, doesn't it make sense that these also contain your best keywords - just as your web pages do! So when you post, think carefully about what you want to say and craft them carefully to get your valuable keywords in. This will ensure that in search these could be more easily picked up by search engines, but also your brilliantly crafted accounts start to show your authority, which will be passed to your website and web pages when you link back to them. AND like your web pages, please don’t add posts purely to spam your keywords, Google is wise to this trick just as it is with websites and it could lead to a social penalty! Matt Cutts and the team at Google have had a lot of press lately about how SEO should be done; a lot of people took some of Matts comments the wrong way and seemed to suddenly stop wanting to do any old school SEO in fear that Google would find out and deindex their website or pages. Matt was only really repeating what he has basically said from day one, and that is that you can do pretty much anything that is ethical to help promote your website, but just don’t be spammy about it. Rule number one always has been and always will be – think about your market first and ranking second. So what “old school” SEO still works? The truth is that pretty much everything! Ok, this was the recent big topic that started to get webmasters a bit jittery, you can still be a guest blogger for someone else, there are just some very simple ‘do’s’ and ‘don’ts’ that you need to follow. Do guess blogging as it can drive targeted visitors to your own site. Always add value to the blog that you are writing for – consider their audience AND yours. Consider creating a separate landing page for this guest blog post that adds value to the post. Don’t use the same article that you have used elsewhere, this simply doesn't work. If you like the theme of a previous article you have written then consider a heavy rewrite of it. Don’t write a heavily weighted keyword article. Neither should you expect a link to your website, if this is your only motivation then don’t guest blog. Do try to get links back from forums – there still is SEO value in doing this, but ensure that the forum is highly relevant to the pages that you want to link to. As with guest blogging consider creating a landing page that provides additional value to the forum comment you post – give the readers a real reason to click on your link. Don’t create lots of spammy low value comments on Forums with a link back to your site, and don’t put your keywords in the Name field, and NEVER use automatic blogging software – that is so 1990’s and it will get you a Google penalty. Do continue to use directory sites, but ensure that you are listing your website in a high quality directory that is likely to delivery good quality traffic to your site. Look for Directories that have strict submission guidelines. If you are a local business then local business directories can work well. Don’t bulk submit your details to every directory that you can find, and NEVER use automated listing software. Do have quality outbound links to relevant websites, use pages that are highly themed and only consider links that are relevant to your audience. Don’t have pages full of random outbound links, Google know that this type of activity is usually from link exchange programs and it could get you a penalty. Most businesses now recognise the fact that social media doesn't necessarily directly lead to a sale, but I know for a fact that it can help that sales process; instead most big businesses now look at social media as having SEO benefits and allowing their website and webpages to gain better rankings than their competitions, but how! Let’s take a quick look at the benefits that social media could bring your to your SEO. There are a couple of linked reasons why we would want to use social networks in the first place. Specifically Google+ looks good because of the obvious tight integration with Google Search; this benefits you because Google has a good chance of knowing a little about everyone that use its services. It knows for example if individuals are interested in or an expert in ‘home decor’ or ‘flooring’ because of their Google+ profiles and/or their search patterns and/or their Gmail topics etc – now if you sell flooring and one of these individuals shares or +1’s some of your content (image/URL etc) then Google will naturally believe that your site or specific page is more important than a competitors that hasn't been shared by these interested parties. We also look at social media sites now as information hubs (a bit like mini websites). If we take the above example about a flooring business and they focus on posting good content about flooring then Google will understand that their Blog, Google+, Facebook, Twitter, LinkedIn or Pinterest account is about ‘flooring’; and as such any links from it back to that site will generate a little more link juice. We (the SEO community) also don’t yet fully understand how Google looks at social engagement (individuals sharing social content), but whether it happens now or in the future, if individuals engage with your social content and brand then it can only benefit ranking. We all make mistakes, but if you end up making a mistake of your SEO then it could really start to ruin your business. Many businesses, including some top international companies, have fallen foul of Google Webmaster Guidelines and have been penalised by being removed from Google index. Google has developed sophisticated algorithms to look out for websites and website owners that look like they are attempting game or beat Google at their own game. You can’t win. Here are a couple of tips to ensure that it doesn't happen to you. OK, so you have worked out what keywords will bring visitors to your website; once you have this knowledge the temptation is to stuff these keywords all over your pages! This is a definite violation of Google Guidelines and will result in getting you delisted from their index. Write your pages as if you were talking to someone about that product or service, use your keyword, but use then sparingly. It doesn't take long searching the internet to find companies that are willing to sell you software that will enable you to leave comments automatically on blogs and forums – this can’t go wrong can it as we all know that Google loves to see links to your website. Actually Google employs some very clever software that detects instances of when you attempt to leave lots of comments on blogs and forums, leaving lots of comments simply isn't natural behaviour. It’s fine to find forums and blogs that are related to your business and leave comments on them (in moderation), but do so with the understanding that your comments need to help a wider community, you need to add value to these sites, not just expect a link back to your site. Lots of high profile websites offer to sell links to other sites to help their ranking, and it can be very tempting to use these services as a quick win for ranking. Google knows the sites that sell links and will penalise sites that they link to, also many of these site will again be unrelated to yours and so Google will see these links as unnatural (i.e. these sites wouldn't naturally link to yours). There are lots of internet directories that offer (either paid or free) to provide a link back to your website. As many of these directories are just pages of links to websites then Google again sees these as unnatural linkage and if you are found to have listings in lots of these directories then they are likely to take actions against your site. Linking from directories that are dedicated to your market or location are better, as are using well known household name directories. These can be a useful way to gain traffic, but don’t reply on this tactic for ranking purposes. This is a technique that attempts to hide content from website visitors but is instead made available only for to search engines to see; again Google is now really clever at spotting these techniques. All content should be available to your visitors, it should be informative; it should make sense and read well. This isn't a technique that is used much today, but Doorway pages are pages that are again just written just for search engines and typically have content on them that is not able to be seen by website visitors. They are used to try to build a large amount of authority into a single page; these pages then automatically take visitors off to a completely different website. Again, they tend to be stuffed with keywords, but once again it’s a technique that Google are very good at sniffing out. There isn't any way that you can beat Google and fool it into giving you better search engines rankings that your site deserve – always write pages with your visitor in mind. Good quality, well written site will always (in time) rank better than poorly written, low quality ones. Many individuals and smaller businesses don’t have a budget for SEO work, but if you plan to do your own SEO then all it will only cost you is a little bit of time and effort. The first step is to think carefully about how potential visitors are likely to find you when they fire up their favourite search engine; what are the key terms that you would expect them to type into the search engine to find you. Don’t be too general here, if you are repair clocks and you live in Bristol then “Clock Repairer in Bristol” is a very good start. When putting your list together, consider the ‘transactional’ keywords that someone might use for your service, these are words that might be used in an internet search that would suggest that some if ready or likely to buy, and could also help you understand how you might be trying to position yourself as a business. The idea with a lot of these informational terms is that you are looking to show that you know what you are talking about; you are building trust and credibility with your web pages. Once you have 3-5 key terms that you think visitors will type to find your services then ensure that these terms are on your web pages (then search engines will get the idea that these are the terms that you want to rank well for). It’s always worth writing your pages as if you are talking to someone who doesn’t know anything about what you do or sell, this way you are more likely to talk to your visitor in the right (consultative) way. Always remember to add more words like “you” and “your” etc and less of the “me” and “us” etc, that way you will be writing with your audience in mind. Remember to include unique META Tags on each page, specifically ensure that the META Description and META Title are completed and unique for every page. Ensure that the META Title is around 50-60 characters in length and the META Description is 100 and 150 characters in length. Links are the lifeblood of your website ranking, without any links to your pages you will not rank on any search engines and you’ll never found. Think about any relationship you might have with other businesses – partners, suppliers, trade bodies or associations etc. See if you can get links from any of these websites. If you create good content and people like your site and you’ll start to attract natural links. Use some form of social media when you start off, whether it be Twitter, LinkedIn, a blog, Facebook or Pinterest, and post often, several times a day is good, and make the post relate to your business. To start off with pick one network and work hard at it – social media posting can take a lot of time and effect and it’s not worth spreading yourself thinly. You’ll have a good idea where most of your audience hang out – post there. The search engines will quickly pick up the fact that you are posting quality content and hopefully engaging with your audience – this will help with ranking. As you won’t be able to afford to pay for speculative SEO work by an agency then look around for an SEO company that is willing to offer a ‘Risk and Reward’ deal. With this type of contract they will agree that they won’t get paid unless then get you on the first page of your chosen search engines for agreed keywords. If they are successful then it will cost you money, but at least you know you're only paying for keywords that are on the first page of search engine results. WARNING: Never pay an agency who guarantee that they can get you onto the first page – no-one can guarantee it. Don't expect great results overnight, doing SEO like this without much effort isn't easy and getting on to the first search engine results page is very difficult, but see how you get on in 3-6 months and take things from there. Top SEO agencies can't get you sustainable results overnight either! Without a shadow of a doubt, a business that is socially engaged online will always get more business than the ones that aren’t; even if they only generate a little more traffic, it’s traffic that they wouldn’t have got otherwise. But social engagement is more than just generating traffic; it’s also about learning from your market, having conversations with buyers and potential buyers, building a relationship with them, and maybe - just maybe, helping your search engine rankings along the way. So how does a business become socially engaged? Here are 6 great ways to become socially engaged. Think differently – your website might be absolutely professional to the core (as it should be), but social engagement is about having a conversation with your market, and being 100% corporate isn’t always the best policy. Try relaxing your grasp on corporate speak a little, try having a little fun, talk to your audience in the relaxed way that I’m sure many of them will want to be talked to. Be prepared to take a well thought-out risk – this will enable you to test and learn. Digital media is ever changing, as a business you need to be flexible and nimble to keep up with it. Listen in social media is really important – remember you’re using social channels to have conversations (not just sell your products and services), so listening must play its part. Millions of people might be talking about your business, your brand or products and services that you supply; you need to listen to what they are saying so that you can respond correctly (and timely). Great insights from your market will help you create better value for your market, and therefore better value for your business. Don’t make the mistake of sitting one person at a computer and ask them to do social media as well as their current work. Make social a cultural shift within your business by recruiting staff into social roles, report on their activity at least monthly so that everyone inside the business see’s the activity been undertaken and the benefits that are being generated. When you start off in social media, it’s easy to fall into the trap that you think no-one is listening and no-one is interested in what you have to say, but they are. Be bold, talk about topics that are not only important to you as a business but also what is important to your audience. If you provide credit cards or bank accounts then be bold and discuss debt; if you sell mortgages talk about the problem of not been able to keep up with repayments; if you sell software then help people to understand what might happen if that software fails – be brave, be bold. It’s not always about posting topics that you have created in-house or starting your own discussions; sometimes it’s important to comment on other’s work, maybe other similar businesses. Content can come from many different sources, look and listening to what’s outside of your business to see which of it can help you to engage with your market and get the conversation going. As already alluded to, Social media is a huge role for just one person in a decent sized business; but it is also true that social media is bigger than just one department. Call upon your colleagues in Sales, Customer Services and Support to help facilitate content, topics and discussions; these teams can help provide real-time insights as to what’s important to talk about. None of this happens overnight, but if you are starting your social engagement journey, consider these points and getting you towards your end game will become much easier.